The latest consultation on changes to the Building Regulations may not be top of your reading list right now – but it does contain some interesting proposals to compel homeowners to make energy efficiency improvements and take out Green Deal plans. The consultation, issued on 31 January, sets out proposals in four sections with a general closing date of 27 April; however, section two, covering Part L (conservation of fuel and power), includes proposals for additional ‘consequential’ improvements in existing buildings, with a submission deadline of 27 March 2012. This is to tie in with the planned introduction of the Green Deal scheme in October this year. The paper proposes to introduce, on a phased basis, requirements for additional energy efficiency improvements to be carried out when other notifiable work is planned, and Green Deal finance is available as an option to meet the costs. Extensions or increases in habitable space – all existing domestic buildings that undergo works to add an extension, and increases in habitable space (i.e. loft and integral garage conversions). (Consequential improvements are already required for buildings over 1000m2). The replacement of specified controlled services or fittings – for homes, the replacement of a boiler or a percentage of the home’s windows. Views are sought on whether there are appropriate trigger points that could apply across the board to non-domestic buildings. The initial provision of a fixed building service, or an increase to the installed capacity of a fixed building service only in buildings over 1000m2 – these triggers are already in the Regulations. 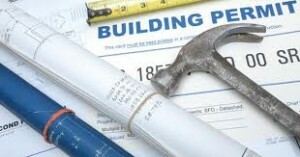 If introduced, this would mean that an owner or occupier who carries out work to their building (e.g. an extension, loft conversion or replacement windows) would be asked to undertake additional work that is “technically, functionally and economically feasible”. Although the use of Green Deal finance would not be compulsory, the availability of this option is considered to be important so that any additional measures required could be installed at no upfront cost. If Green Deal finance were unavailable (due to failure to meet the Golden Rule), then the additional measures would be deemed not to be economically feasible and need not be installed. Identification of what additional work is required may be made by reference to a Green Deal assessment, an EPC or otherwise, but the decision must be approved by Building Control. The range of improvements that may be required will be drawn from the SAP list currently being updated for use in generating domestic EPC and Green Deal assessments. The impact assessment suggests that the requirement for consequential improvements will have a ‘significant impact’ and produce large carbon savings. It also identifies increased work for small builders. However, there are some possible negative impacts: the requirement for additional work may deter homeowners from carrying out any improvement work at all, especially where the work requires additional contractors and/or extended timescales; they may be disinclined to apply for consent or to notify Building Control of planned work; from the local authority point of view, there will be an increased workload with Building Control officers required to assess and approve planned consequential measures. There is much more detail in the consultation documents. The full Part L consultation also includes proposals for tighter carbon dioxide emission standards for new homes and non-domestic buildings, to take the next step towards ‘zero carbon’ standards, plus tighter performance standards for works to existing buildings. It can be found on the Communities and Local Government website. What do you think? Do you welcome these proposals, and will they drive take-up of Green Deal finance? Please post your comments – or this or on other important issues in this consultation.